Starting Team Canada's first preliminary game against Norway, Jarome Iginla was on the so-called “fourth-line”, something that didn't last too long. Taking a pass from Sidney Crosby early into a second-period power-play, Jarome hammered a slap shot into the net to open up the tournament's scoring for the Canadians. His teammates followed his lead, pouring on the offence, and Jarome kept it up himself, as well. When all was said and done, Team Canada scored seven more times before the game reached its 8-0 final, with Jarome completing a hat-trick by tipping in a Rick Nash point shot. Going back to his final two NHL games, he has scored in three straight games overall, with six tallies to his credit during that span, including a pair of game-winners. Relatively quiet through most of January and December, the 32-year-old, who recently passed the 1000 games plateau with the Flames, will find himself with even more fans if he can keep up his pace of late. Loui Eriksson, a 24-year old from Goteborg, Sweden, has made a fine name for himself in the NHL over the past two seasons, with 59 goals since the beginning of the 2008-09 campaign. With such success on the pro level, it now appears time for the young Swede to make a name on the Olympic stage as well. Already off to a fine start in February, the chance to excel in the bright Olympic lights is in his hands. Loui found himself beginning the 2010 Vancouver Olympics on a line with Nicklas Backstrom of the Washington Capitals and Daniel Alfredsson of the Ottawa Senators, and, in Sweden's first game, Loui was in the right place at the right time, burying a nice feed from Backstrom for his first-career goal in the Olympics. If he sees extended time with those line-mates, you can rest assure that it will not be the last. 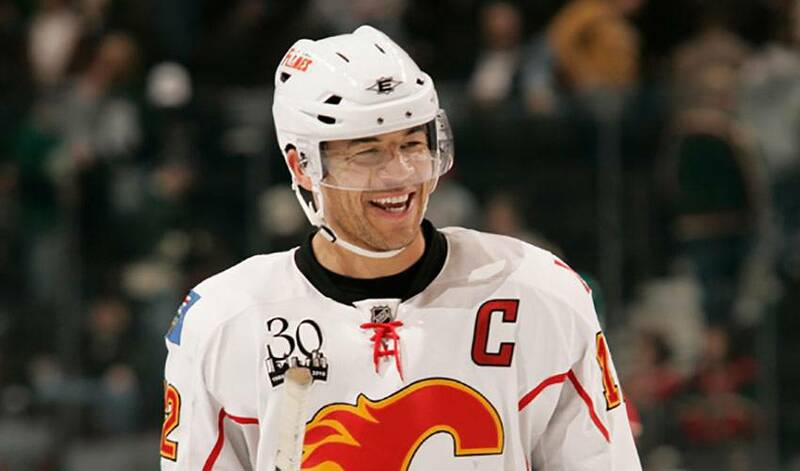 Jarome Iginla did not have the exclusive rights to enjoying a multi-goal game in the 8-0 win for Team Canada over Norway, with Dany Heatley joining the fray by scoring a pair of goals of his own. Those two goals vaulted Dany over Eric Lindros into second-place for all-time Canadian scoring in international play, behind only Wayne Gretzky. Heatley, now with 77 career points while wearing the Canadian jersey, is 22 points behind the Great One's very appropriate 99 points. Also, Heatley is currently the Canadian leader for both goals and points during World Championship play. Congratulations from NHLPA.com, Dany! Playing in the 125th game of his international career for Finland, Teemu Selanne made it one that he will remember for a while. With an assist on an Olli Jokinen goal against Belarus, the Finnish Flash jumped into a three-way tie for the all-time Olympic men's hockey scoring record, matching the 36 career points posted by Harry Watson of Canada, Vlastimil Bubnik of Czechoslovakia and Valeri Kharlamov of the Soviet Union. Amazingly for Teemu, it was just his 26th Olympic game, in a career that has seen him win bronze (1998) and silver (2002) medals while playing for his country. Ever the optimist, Teemu also had one of the more positive quotes to come out of the Vancouver Games thus far, saying, “This is going to be the greatest experience with Canadian fans. Vancouver, it's the best city in the world. This is a dream come true for a hockey player.” Coming from someone who is now playing in his fifth Olympics, that is lofty praise indeed.